Adult Bible Fellowships (ABFs) meet Sunday mornings before the morning worship service from 9:30-10:15. 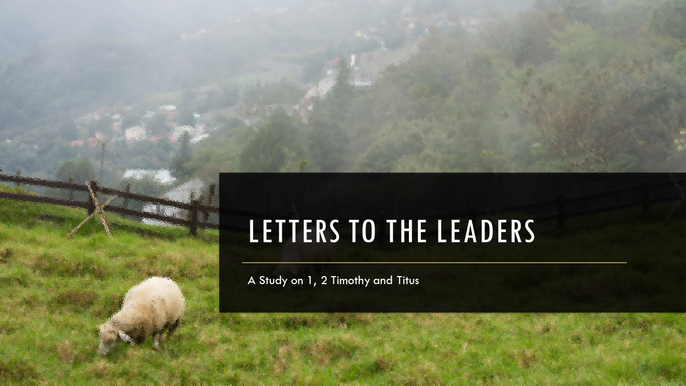 In this study, we will examine and discuss the last three letters that Paul wrote as he sought to establish order in the church, to call for the guarding of Scripture, and to instill the conviction that the church lives Coram Deo; in the presence, under the authority, and to the glory of God. Connections classes meet on Wednesday nights at 7 pm in the fall through spring. The Brown Bag Bible Study meets on Wednesdays at 12 pm from fall to spring in the white building. It is open to everyone. Bring a lunch, enjoy fellowship and dig deeper into God's Word. Basic Bible Institute meets on select Sundays at 5:00 pm. It is a series of studies designed to provide a working knowledge of the Bible and Theology. Each course is brief (5-7 one hour sessions).